20150505 + Up in the am and dropped D off on the way in to work. Headed to the VW dealership to drop the car off for service, Dave picked me up and took me to work. A busy day at work and the work on the car didn't go as planned... Dave took me to get a big rental truck. 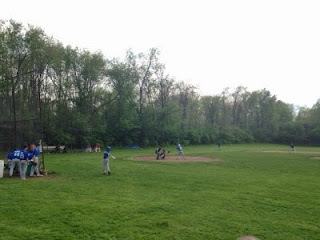 L took G to baseball practice, I headed to D's baseball game to watch and he did ok and they won. Back to the school to pick D up and then home for dinner. The night went fast, was on the back porch on the phone for work. In and to bed.